When you’ve been looking forward to getting out there and fishing, it becomes a better experience when you have a reliable trolling motor that lets you concentrate on fishing instead of focusing on steering. This is the beauty of Minn Kota Terrova trolling motors. They are operated with very little effort, especially when it comes to deploying them and stowing them. All control features are reliable and responsive, to add even more pleasure to your experience. Probably the best feature is the up to 112 pounds of thrust that gives you all the power you’ll need. Another terrific feature is the digital maximizer, which lets you operate the motor up to five times longer on a single charge. When your trolling motor is practically worry-free, the whole experience is improved. Plus, this motor runs more quietly and cooler than other motors. The fish won’t even notice that you’re on your way to them! One of the nicest features is the shaft made from composite material that is guaranteed not to corrode, kink up or break, because this sturdy and tough material is stronger than steel. The Terrova Foot Pedal – Gives you exact control from any place on the boat, whether you tend to steer from right to left or using a heel toe motion. There is under one degree of steering resolution for exact control, it never needs batteries, and comes with an 18 foot cord. Battery Meter that is Push-To-Test – Lets you know the state of your battery and how much time is left on it with just the touch of a single button. Maximizer that operates digitally – Gives you a longer running time on a single charge, up to five times longer. Energy-saving features make sure your battery power is conserved and not wasted. Lets you stay out on the water longer. Lever for Stowing and Deploying – Easy to operate so you can deploy or stow the motor with little effort. A handy cut-off switch turns off your motor automatically as soon as the motor is stowed. The i-Pilot Link Feature – A helpful option allowing you to control your motor using a convenient Link remote. Navigation is made easier with automatic GPS features. You can even find your way to your favorite fishing spot more easily, with only a push of a button. It can also help you control steering, cruise control and your speed for maximum control. i-Pilot Feature – Another convenient option letting you set special “spot locks” to keep your boat within a five feet radius of your favorite fishing spot. Features the precision of GPS, and convenience of an LCD remote. Auto Pilot – Available on certain models, it lets you pick a heading and brings you there effortlessly. Universal Sonar 2 – Gives you the clearest and best view of what’s beneath you with cutting edge sonar performance. Even senses water temperatures for more accuracy. Weedless Wedge 2 – A great option for removing thick patches of weeds with less effort and great performance. 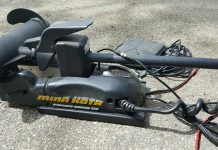 If there are cons, it might be that Minn Kota Terrova motors tend to be pricier than other brands. 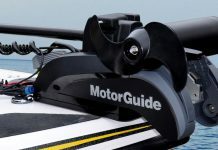 However, many of the customers who have used them claim that the price is worth the extra benefits you get from these motors, and their ease of use makes the entire fishing experience more pleasant. You also have the ability with Minn Kota Terrova motors to add options like the i-Pilot Link, i-Pilot and Universal Sonar 2. Your fishing experience can be enhanced like never before through the use of advanced technologies. 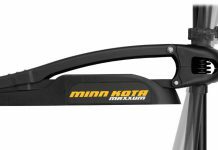 Are Minn Kota Terrova Trolling Motors Worth the Price? When you study the opinions of people who have made the move and bought Minn Kota Terrova trolling motors, the popular feeling you get is that these motors are definitely worth the price. 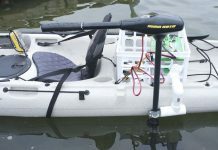 The easy to use factors like being able to stow and deploy the motor effortlessly, and a battery meter that is very easy to push to test your battery levels makes using these motors a pleasure. Extra nice technologically advanced options that you can add to your basic motor like sonar and i-Pilot can also turn any normal fishing trip into an adventure. The digital maximizer is praised often in reviews for making your battery last up to five times longer on a single charge. 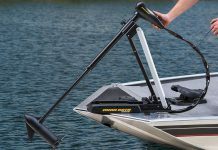 This lets you stay out on the water longer to get more enjoyment out of your fishing experience. 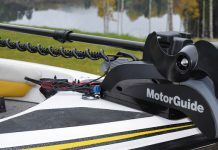 With other attractive features like having up to 112 pounds of thrust, along with the motor’s power being quieter and cooler than that of other trolling motors, anglers seem to unanimously enjoy using Minn Kota Terrova trolling motors.